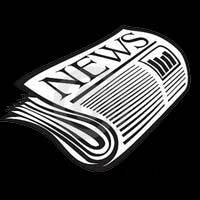 Fire Marshal’s Update – September 2018 | F.F.A.M. We need your help! The work compensation funding bill/grant continues to be a topic of discussion with the legislators. There is a possibility it could still be funded in this budget year. If this was to come to fruition we would have a small window to spend the dollars appropriated to support the grant. Go to: missouribuys.mo.gov and register with the state as a vender. Getting these two steps done now will put you ahead of the process if and when the money becomes available. We will have this information on our website soon. If you are not familiar with the workers compensation grant, here is a short version, a bill was passed two years ago to fund non-tax based fire associations / departments with a $2,000 grant to assist with their workers compensation insurance fees. The bill has not been funded since its passage, maybe this year! September 11, 2001, a day now called Patriot Day, do to the cowardly acts of terrorists. We in the fire service wear the numbers 343 on shirts, helmets, hats, vehicles, tattoos and the list goes on and on. We commemorate the members of FDNY who give their lives for the mission that day. 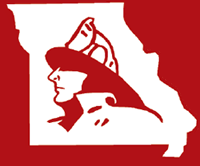 That is why I like the brother/sisterhood of the fire service, “neighbors helping neighbors.” Let us be found guilty of keeping the spirit of camaraderie amongst ourselves in the Missouri fire service in the days and years to come! 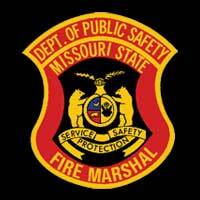 Our second annual State Fire Marshal Stair Climb will have come and gone when you read this. I want to thank first of all the Division of Fire Safety team for donating their time to make this event a success! Also for everyone that donated door prices, signed up or donated to climb. Public Safety Director Sandy Karsten and Mayor Carrie Tergin for helping with the opening ceremony, DPS Public Information Officer Mike O’Connell for being the master of ceremony, and the State Fair Fire Department for the $1,050 donations to the climb. The funds raised will help support the National Fallen Fire Fighters foundations (NFFF). We look forward to bringing another stair climb to you next year. We are quickly approaching the end of the year. There will be elections in November, I would ask you to invite your local candidate to come and visit your firehouse and the firefighters. Building relationships and getting to know there name is extremely important. I have said it several times, “They remember the conversations and issues you discuss with them when they get to Jefferson City!” It helps us when we go and speak to them about workers compensation, firefighter training funding, presumptive cancer, and a host of other topics. I would like to share the following information I come across for fire department general safety rules. Take time and read or print these out for your next training meeting, everyone will benefit from it. To prevent injuries, we should expect all firefighters and first responders to work safely. Report to calls free from the effects / after effects of illicit drugs, alcohol or illegally-used prescription medications. Do not respond to fire calls after drinking. Alcohol use at the station is prohibited. Report hazards, incidents, injuries or maintenance needs in writing before leaving the station. Employees must wear seat belts whenever driving or riding in vehicles or equipment for the district. Seat belt use is required when driving your personal vehicle for fire district business and emergency calls. Do not operate trucks, machines or equipment unless you have been trained and authorized. Drive with due regard, and at a speed appropriate for conditions. Do not use hand-held cell phones while driving. Do not put yourself or other motorists at risk when responding to emergencies. Turnout gear and proper footwear is required at fire, rescue and emergency scenes. Wear SCBA (self-contained breathing apparatus) when dangerous smoke is encountered (i.e. vehicle, structure fires). Wear illuminated vest or PPE while working in the roadway, (working accidents etc.). Freelancing is not permitted at emergency scenes. Always check in with your incident commander and work within a team when present at an emergency scene. Do not enter structure fires alone. Use safe lifting methods – including team lifts – when moving patients, heavy machines or equipment. Do not lift patients or heavy objects like ladders, large rolls of supply hose or ventilation fans without assistance. Wear exam gloves at all medical emergency calls. Wear eye protection, surgical mask and gown whenever you’re exposed to aerosols, airborne liquids or excessive amounts of body fluids. Wear hearing protection when operating loud machines during training, equipment checks or maintenance. Wear eye protection or use your helmet shield when you’re exposed to flying eye injury hazards at the station or at scenes. Prevent knee and ankle injuries – use three-point contact when mounting and dismounting trucks. Prevent falls from ladders used at fire scenes and at the station by using three-point contact. Use ropes to lift and lower equipment. To prevent falls and tip-over, secure all ladders before climbing. At the station, clear floors of trip hazards like water hoses, extension cords and supplies. Clean up spills, oil or water that can create slip hazards. Keep storage areas organized. At the station, store your personal protective equipment properly – clean, dry, organized. 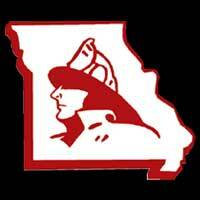 In closing, congratulations to Kevin Zumwalt for being appointed as the director for the University of Missouri Fire and Rescue Training Institute. His many years of experience and professionalism with the institute will benefit us all going forward. 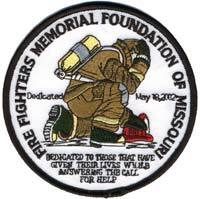 We look forward to continuing our great working relationship and furthering the training and education of the Missouri fire service. I appreciate everything each and every one of you do to serve and protect our state. I am honored to be your state fire marshal, and want all of us to, “Be the best boots on the ground,” and that will mean we will leave it better than we found it! If you’re in Jefferson City please come and visit us at the thirteenth floor!